Elchinsoul: What They Say EP by Peeta incl. remix by Carl Bee and Elchinsoul ! What They Say EP by Peeta incl. remix by Carl Bee and Elchinsoul ! 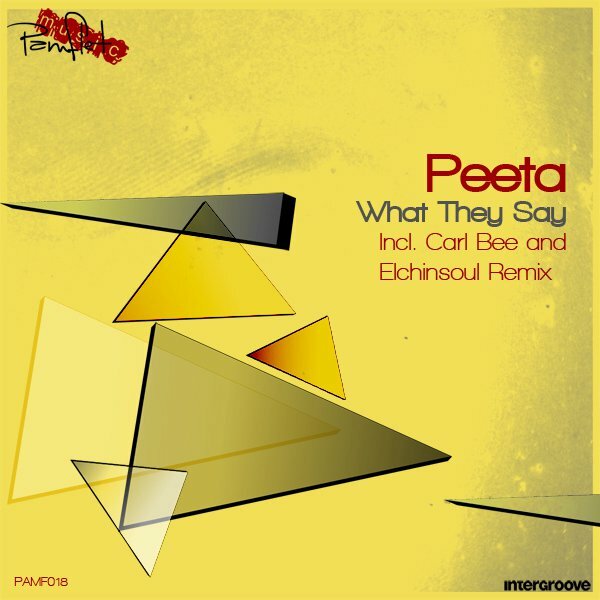 Based in Liverpool UK, Peeta is the next new guy here on Pamflet Music, with a really groovy track he joned this fine release called What They Say, with a really cool puming groove including also two great remixes, the first one is by a very talented guy from Malta, with a few other releases on our labels, Carl Bee, shows us his powerfull work like always he used to do but we better leave this to your ears, and the second remix made by a new Romanian producer who has done already a nice work on the main label Cimelde last year for a remix contest wich was deffinately winned by him, lets welcome Elchinsoul here on Pamflet Music aswell and you may check his cool housey rework on this fine release and like Peeta with the guys are really curious about What They Say, so please feel free!! Mastiksoul, David Jones, Nico Lahs, Pascal Rueck, Simon Beeston, Bastian Schuster, Raymundo Rodriguez, Fog, Saso Recyd, Hector Couto, Nick Darin, Ariel Rodz, Lojak, Francesco Gemelli and others.